Site: Machine cut, hand finished, natural/smooth (not stepped), painted with roads, walks, parking, water features, trees, lanscaping, people and cars. 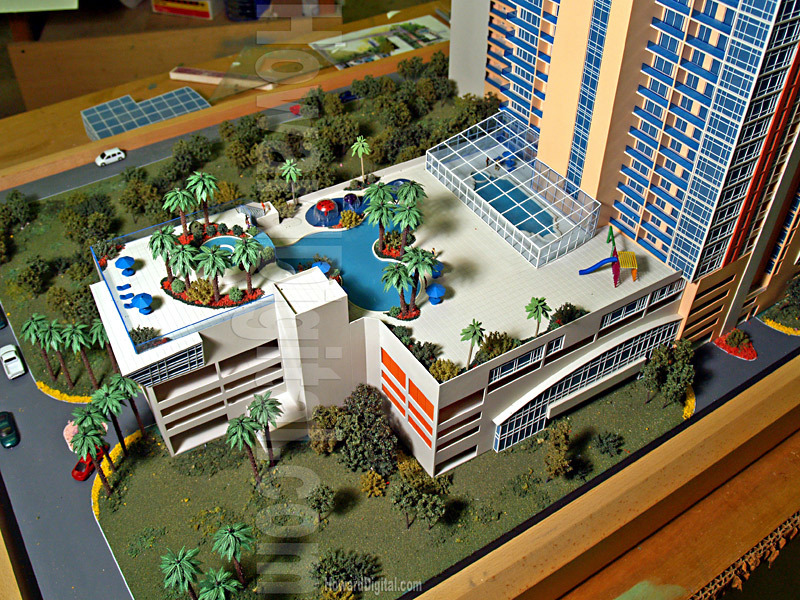 Buildings: Full color, laser cut, detailed model showing facade fenestration, doors, windows, mullions, balconies, railings, trim and roof detail. On the beautiful Bramble Bay, Woody Point - The Ultimate Waterfront Address. Experience sunrises over the ocean and sunsets over the bay. Stunning water views across the bay to Morton Island.